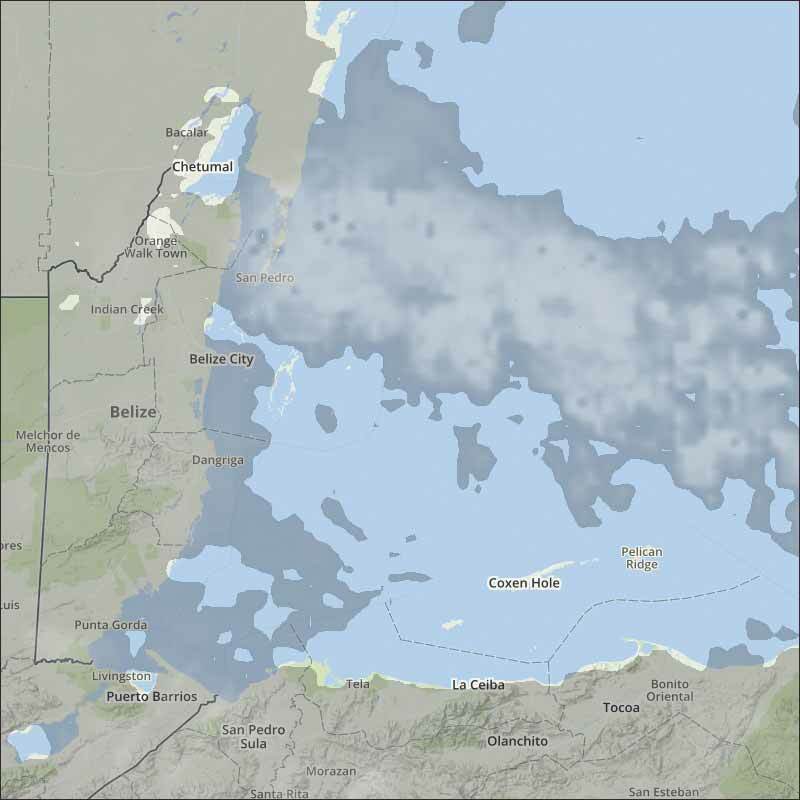 Belize NMS: Relatively moist conditions will prevail over the area. 24-hour forecast: Cloudy at times with a few showers or periods of rain along the coast and over northern areas this morning, then inland and north this afternoon and mainly south tonight. General Outlook: Cloudy with a few showers or periods of rain and isolated thunderstorms over most areas Thursday becoming generally isolated Thursday night. 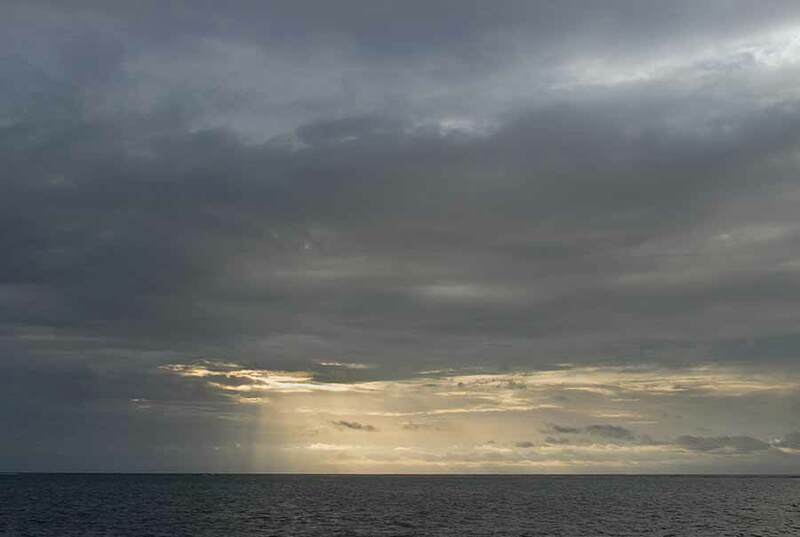 Today E 10-20 kts Choppy-Moderate 3-6 ft A FEW SHOWERS OR PERIODS OF RAIN. Tonight E 10-20 kts Moderate 4-6 ft A FEW SHOWERS MOSTLY SOUTH. Tomorrow E 10-20 kts Moderate 4-6 ft A FEW SHOWERS, PERIODS OF RAIN AND ISOLATED THUNDERSTORMS. Outlook E-NE 10-20 kts Choppy-Moderate 3-6 ft GENERALLY ISOLATED SHOWERS. 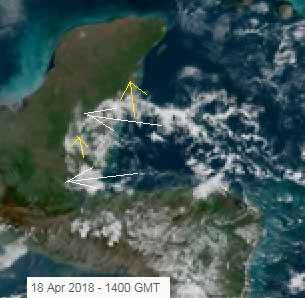 A few showers linger between Jamaica and eastern Honduras along the remnants of a dissipated frontal boundary that moved into the northwest Caribbean earlier in the week. Farther west, a few showers are active over the northeast Caribbean, with a thunderstorm active briefly south of Puerto Rico earlier this evening, related to a trough moving through the Virgin Islands and Puerto Rico. 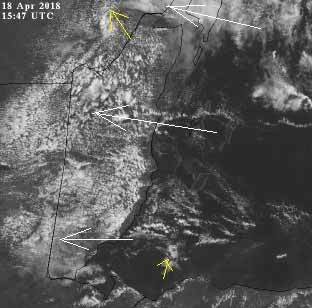 Farther south, a couple of ship observations in the ABC Islands indicate fresh to strong trade winds are active along the coast of northwestern Venezuela and northeast Colombia. Meanwhile, swell is still reaching 8 ft east of Windward Islands as noted in a recent altimeter satellite pass. The trough over the eastern Caribbean will gradually become diffuse as it passes across eastern Hispaniola Thu. Ridging north of the region will maintain fresh to strong winds off Colombia through late in the week, expanding from the south central into the southwest Caribbean late Wed through late Fri. These winds then diminish Sat afternoon, before pulsing back up to fresh to strong Sat night into Sun. On Ambergris Caye this morning despite this early morning rain it seems to be a sunny day . The wind is now from the East at 10 mph. and the sea is calm. Our expected high is 84 f.
The mass of cloud in the Caribbean has broken up and there are now straggly areas coming in to all of Belize. There have been just a few small patches of isolated rain as a result, but that is drying up. The temperatures are warming up again, after that bubble of cool air. Looks as if this morning will be cloudy, with more sun and cloud later today, small chance of isolated rain. The Cloud picture. There are sun patches between the clouds, and the odd small rain shower in a few places.